This big piece of white wood from some old house seemed to be made for angel's wings. When I found the doll bed springs, I knew I had the makings of a great piece. Her legs are truly recycled - they were legs from an outdoor piece made by my grandchildren many years ago (the rest rotted away). 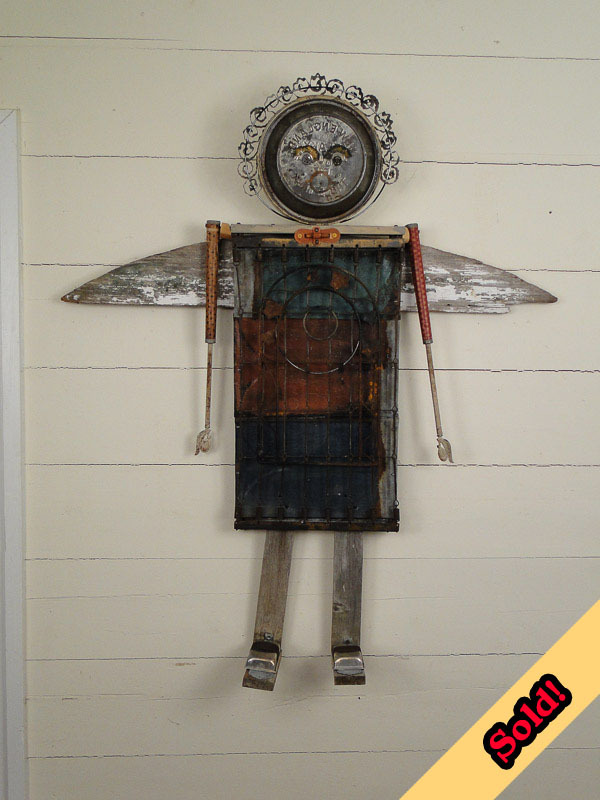 Her arms are textile mill bobbins and metal parts from some antique brackets. Behind the springs are pieces of 1880 metal roofing and her head is a pie tin which has sprouted metal curls and a halo. She would look great outside on a porch or on the side of a potting shed!